Fairy tale wedding invitations are a statement of true love and a testament to your romantic nature. 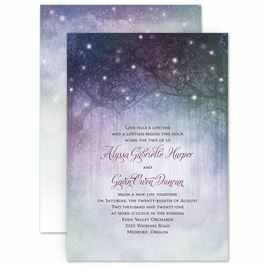 Explore our many fairy tale designs to find the one that fits your wedding theme and style. 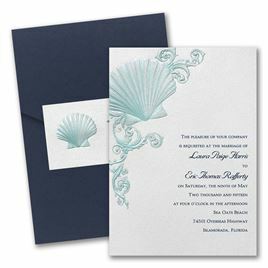 You will discover all kinds of iconic symbols and motifs, such as castles, carriages, princesses, storybooks and more. 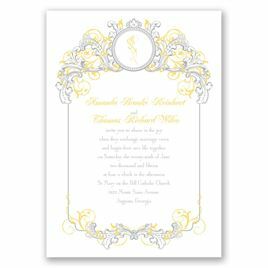 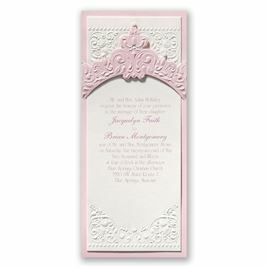 If you like the beautiful designs and ornate details of fairy tale invites, you will also like our collection of elegant wedding invitations. 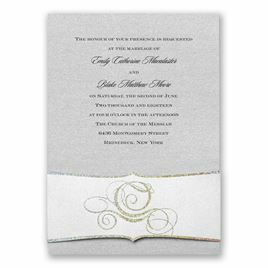 Browse today and enjoy a variety of shimmering papers, laser cut accents, gorgeous letterpress, stunning invitation wraps and much, much more. 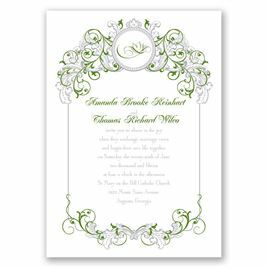 We’re confident you will find the perfect wedding invitation to capture the essence of your very own fairy tale love.